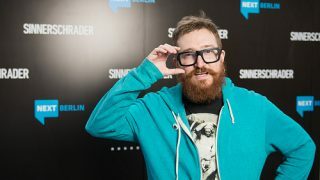 For the first time in Berlin, Harper Reed gave a talk at NEXT13 on April 23, 2013 on how he succeeded as Obama’s CTO and on the three things that make up a good product: build a great team, practice failure and microlistening. 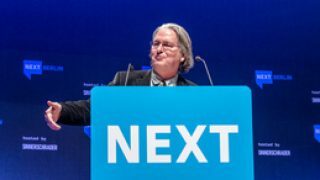 In the closing keynote of NEXT Berlin 2013, acclaimed science-fiction author and journalist Bruce Sterling tackled a variety of topics like design fiction, start-up culture, and the mass adoption of disruptive technology. 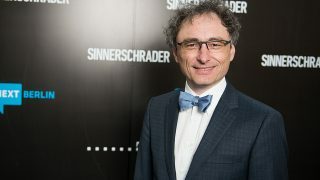 He sees science fiction as a form of design - design fiction that is part of the start-up world. 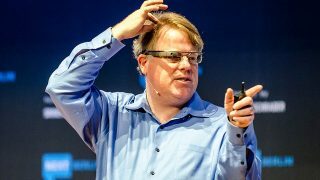 It was the first time that Google Glass has been shown in Europe: Robert Scoble wore his newest gadget when he came on stage at NEXT Berlin 2013. And then true NEXT moment happened when he let Bruce Sterling try out Google Glasses. 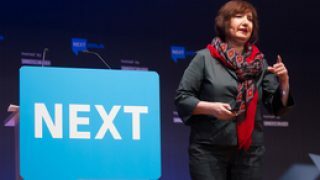 Marina Gorbis, Executive Director of the Institute for the Future (iftf.org) discussed the evolution of communication and its consequences at NEXT13. 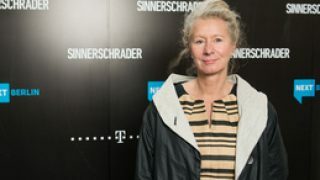 Gesche Joost, Head of Design Research Lab, was announced to be part of chancellor candidate Peer Steinbrück's expertise team this week. 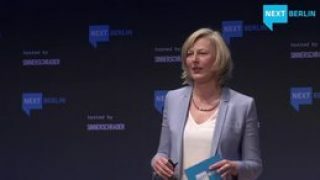 At NEXT13 Joost and her colleagues Tom Bieling and Fabian Hemmert explained their newest innovations to the audience. 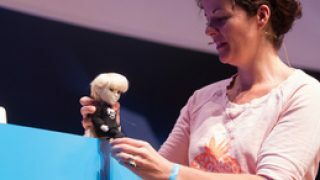 Watch the video of the fascinating demo & talk by Limor Schweitzer, Head of Robosavvy. 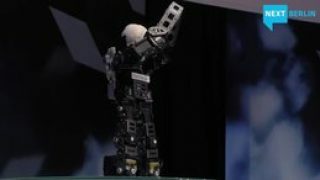 He also brought Fonzie, the dancing robot to NEXT13. 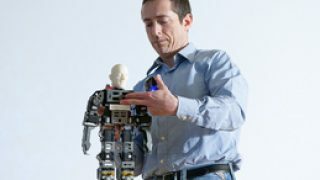 “Affordable 3D printers, supercomputers at the price of lunch, royalty free 3D models, free software and crowdfunding - this is the new playground for creativity.” - The Head of Robosavvy Limor Schweitzer demonstrated his dancing robot ‘Fonzie’ live at NEXT13! Learn more about what Alice Taylor and her team at Makielab have done so far, and what their plans are for the Toys from the Future! 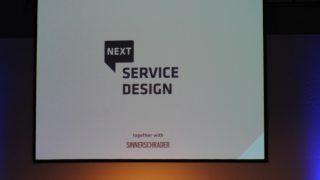 Four savvy service design experts discuss the latest trends and developments in the business and the importance of service design for the success of brands and companies. Watch the inspiring talk and see why you should focus on the topic. 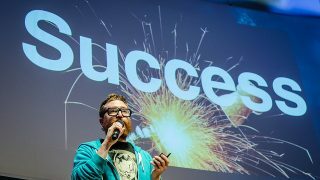 At NEXT13 two of the 100 top influencers of the digital industry favoured the NEXT audience with exciting ignite talks - Jan Beckers, founder of HitFox and Jess Erickson, founder of the Berlin Geekettes, share their entrepreneurial experiences with you! 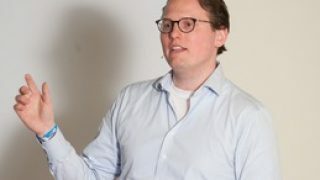 The Amsterdam-based media art project 'PIPS:lab' works at the intersection of media, comedy, music, theatre and film. Key element of their installations and acts is the interaction with their audience - so be surprised and enjoy the show! "Three basic exercises: DIVE - In order to learn about the system. STRETCH - Go beyond the Given. 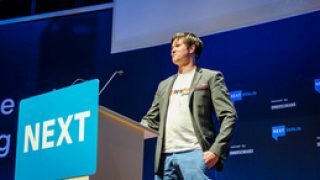 JUMP - Make it real, test it, bring it to the world"
Watch the talk of payleven Founder & CMO Konstantin Wolff at NEXT13 and see, what makes payleven attractive to merchants. “You need operational excellence! You need a legacy behind to serve and satisfy customer needs!” - Arne Benzin, Head of Digital Interaction & Analytics at Allianz at NEXT13. 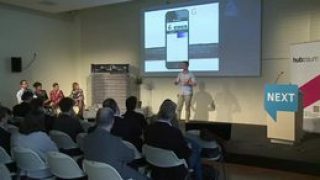 LineMetrics – The Start-up Pitch winner! 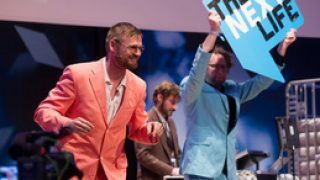 LineMetrics is the winner of this years NEXT13 start-up competition! 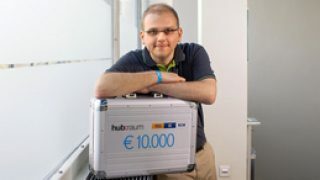 The Austrian team impressed the jury with their idea that enables industrial companies to monitor individual machines or entire production lines, in real time. This leads to an increase in production efficiency and a reduction in machine failures. Have you ever heard about visalyze? Visalyze turns social media data into an interactive and playful visual story. At NEXT13 Christoph Holz explained how this works. At NEXT13 Marcel Etzel introduced ApiOmat - a resourceful productivity tool for everybody who intends to develop a mobile app or website. 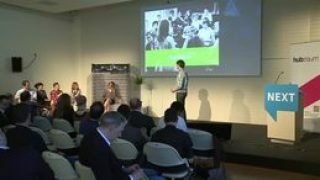 Watch the Pitch and learn more about ApiOmat's vision! 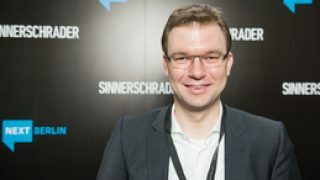 Sebastian Bartl presented at the NEXT13 Start-up Pitch the idea of UnlockYourBrain - the app improves your logical thinking skills every time you unlock your smartphone with a little maths or logic puzzle, or gives vocabulary or language training. Matteo Colò and his team developed Wanderio - a platform to compare flights, trains, ferries and ground transportation services, to let travelers choose and book the solution that suits them best. 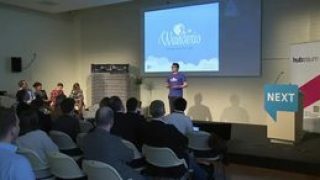 Watch the Pitch of Wanderio at NEXT13! 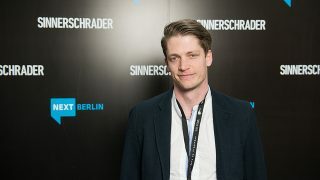 Bas Kohnke is the Co-Founder of Glean and introduced his Start-up at NEXT13. Glean is a mobile application that allows you to give and receive personal feedback anonymously within your social network. Fabrizio Perrone pitched at NEXT13 his idea of Buzzoole - a platform that wants to help users optimise their online presence and engagement with their network. Geddit connects every student in the classroom to their teacher. Due to Anton Troynikov and his team the times when shy students were overlooked are over. At NEXT13 he presented the business model and the idea of Geddit.